A Cal Poly student will be helping advise the state Democratic party after winning a seat as an Assembly District Delegate on Sunday, Jan. 13. Political science sophomore Rob Moore is a new assembly district delegate for Assembly District 35, which includes both San Luis Obispo and Northern Santa Barbara Counties. “The reason I decided that I wanted to run was that I feel that there [are] not a lot of young people in these positions,” Moore said. “I feel I am relatively qualified and I have things to say, and I want people to know about them,” Moore said. Moore said he was inspired to run after being involved with the Cal Poly Democrats and working on the “Yes on Measure G” campaign. After meeting with the president of the SLO County Progressives Democratic Club, they decided his views aligned with the club’s vision and he would be a strong younger candidate. SLO County Progressives was founded by Bernie Sanders supporters and organizes progressives into action while providing support for those running for local office. This is the first official government election Moore has run in. The only other seat he ran for and won was a seat on the Associated Students, Inc. (ASI) Board of Directors in Spring 2018 for the College of Liberal Arts. 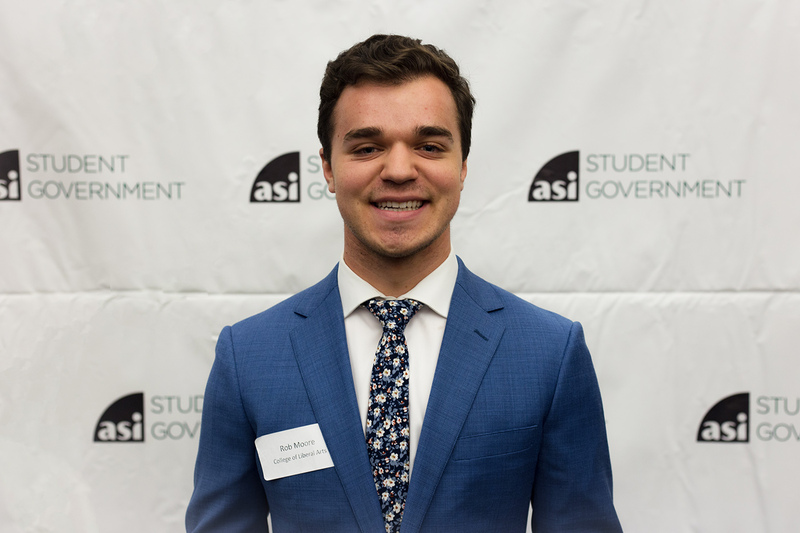 As a political science student, Moore said he is passionate about multiple policy initiatives, but his two main goals as a delegate are to address health care for all and help the environment. In order to affect change, Moore will work alongside other delegates to vote and help shape the party platform that helps decide which candidates will run and be endorsed. The election took place Sunday at Sierra Vista Medical Center, and all 14 candidates supported by the SLO County Progressives won seats. According to Moore, about 500 democratic residents in District 35 showed up and voted. Moore’s two-year term as a delegate will begin in May 2019 when he is officially sworn in as a full-fledged voting member.